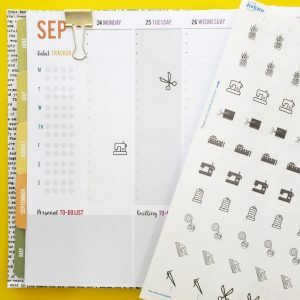 I have been searching high and low for stickers to use in my planner that will fit my sewing related plans. 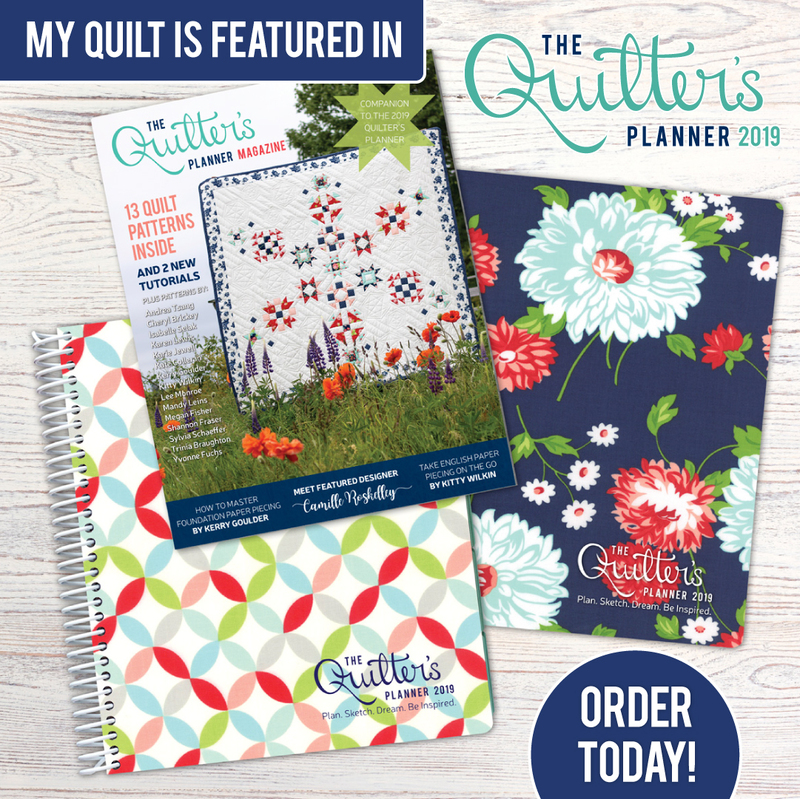 I have found a few, but, nothing that includes all the tasks we sewists like to plan and track. 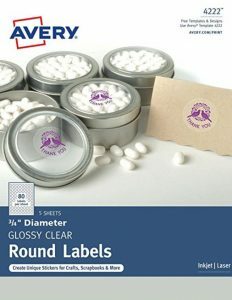 I found these Avery labels and decided to try them. 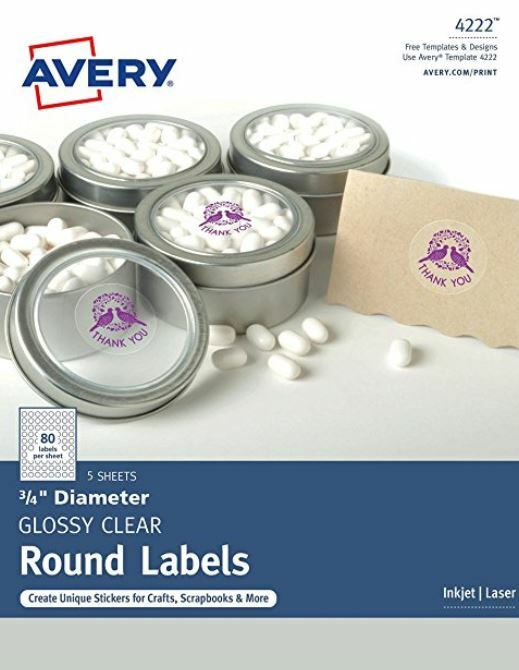 The Avery website has a template for these labels available for download in multiple formats. 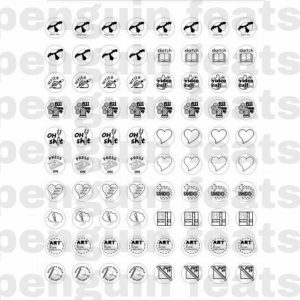 I visited Creative Market and Shutterstock looking for vector icon images of sewing related items. I found a few I thought had a good selection of the tools I use and downloaded them. It was so easy and each set came in multiple formats for easy editing. I was able to add some text and lines to each icon to make it my own. 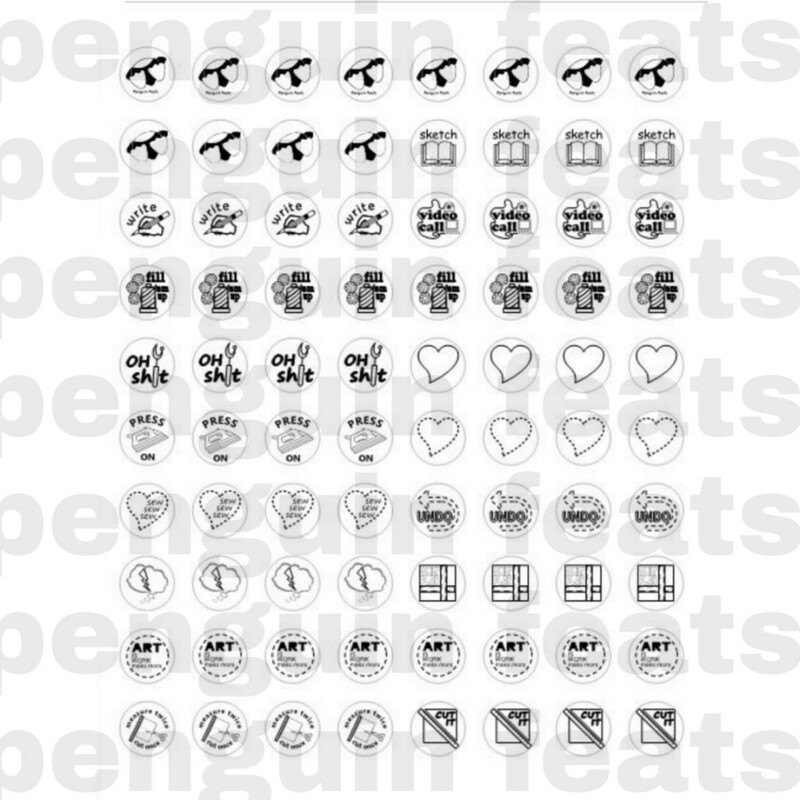 It was a simple copy and past operation to get each new icon to fit into the template. Adding my logo to the mix of stickers should give me planning motivation for the business related work I need to get done. At least that is the plan! Some of the stickers are completely my own design and some are designed using the vector icons. I have more ideas to make into stickers, but for now these will do…and I need to sew, sew, sew. 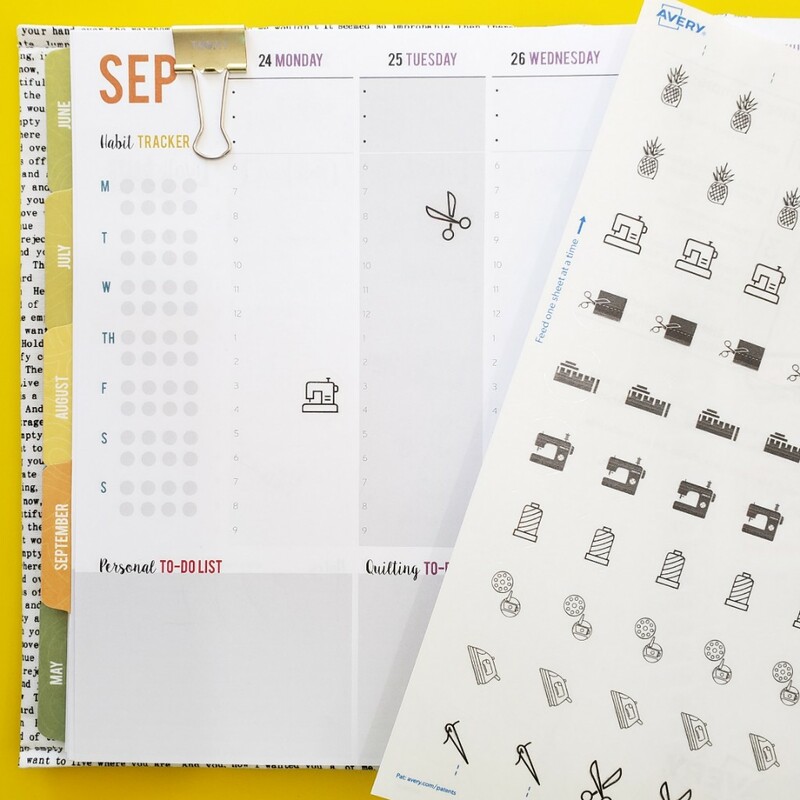 These stickers are so cute and inventive.